Shawnee’s only bowling destination is open daily, and until midnight on Friday and Saturday (until 11 p.m. on other days). Located at N. Harrison and E. Edward Street, it’s the perfect destination for family outings, parties and leagues. Host your next business get together, family-friendly event or other special occasion at Shawnee Bowl, where great food, fun and lanes await. Late night bowling is just $1.50 per game from 9 p.m. – 11 p.m. Sunday – Thursday. 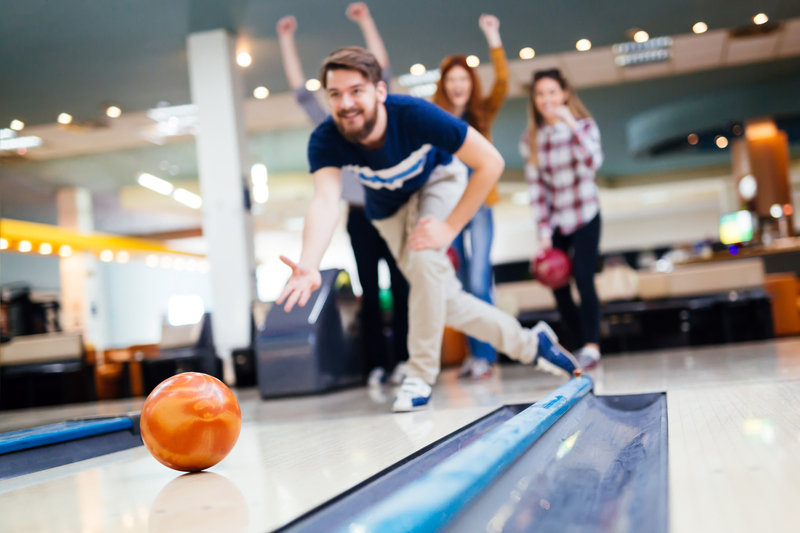 With the open bowling special for just $45, you get up to six people per lane for two hours of bowling with free shoe rental and a giant 44 oz. soft drink. Every Sunday from 9:30 a.m. – 12:30 p.m., you can “beat the clock” and enjoy a lower priced game the earlier you start. Arrive at 9:30, and it’s just $1.25 per game. Take advantage of Bonanza Bowl on Saturdays at select times throughout the day and get a deal for just $50! Groups of 20+ can snag six players per lane for just $50 with free shoe rental for two hours plus unlimited hot dogs, nachos and soft drinks. Birthday parties at Shawnee Bowl include all the prep, cooking, entertainment and decorating plus free cleanup. Bring the cake, ice cream and guests, and leave the rest to the Shawnee Bowl team. Leagues are available at 18-week increments and there are special leagues for all ages and abilities. It’s just $12.50 per week per bowler and includes three games each week, four bowlers per team and a 90% handicap. A free $60 ball is included! Find out more about Shawnee Bowl today.